This statistic displays the population of Belgium in 2018, by gender and region. 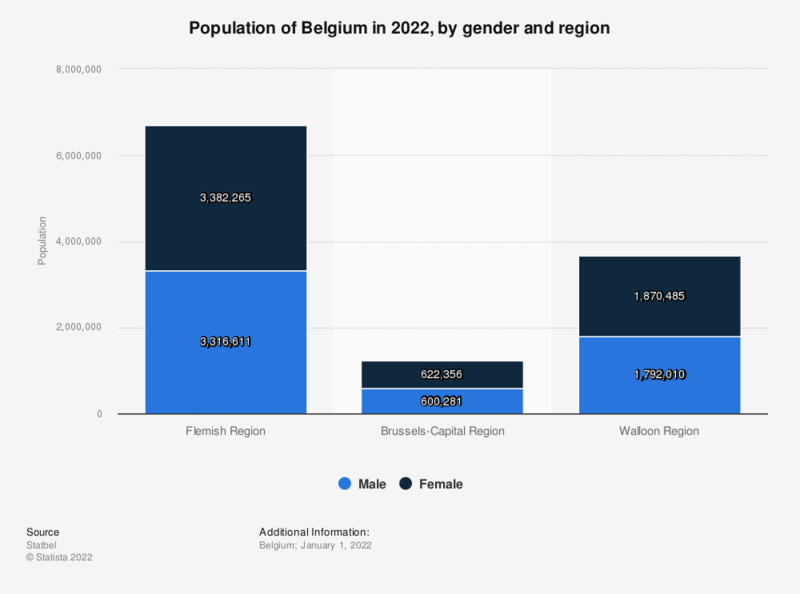 In 2018, about 3.3 million female inhabitants lived in the Flemish Region, approximately 612,000 females lived in the Brussels-Capital Region, and roughly 1.9 million female inhabitants lived in the Walloon Region. * Belgium is divided into three regions: the Flemish Region, the Brussels-Capital Region and the Walloon Region. Each region has its own Regional Parliament and a Regional Government.